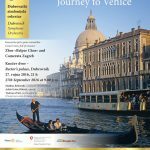 Swiss Belper choir and Croatian ensemble Camerata Zagreb continue their successful international cooperation and will soon perform in Dubrovnik with their brilliant concert story ‘Journey to Venice’. Make sure to be a part of this unique story on September 27th in Rector’s Palace. The concert starts at 9 pm. 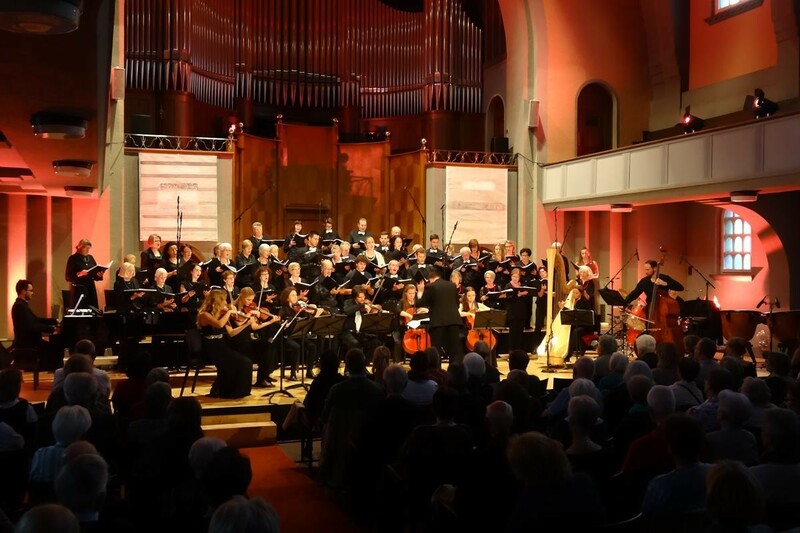 The program, which includes the most beautiful numbers from the world of classical music to the unforgettalbe evergreens, ensures the exceptional artistic pleasure. 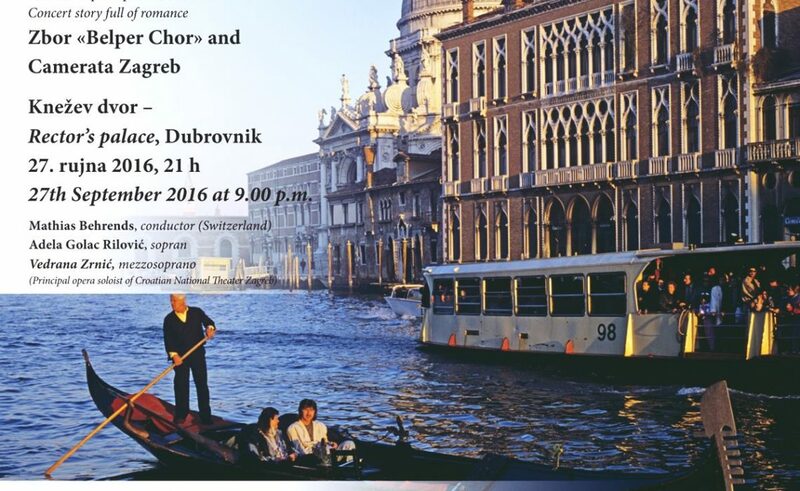 The concert is held under the auspices of the Swiss Embassy in the Republic of Croatia, Croatia Bus and Rotary Club Zagreb Metropolitan, in cooperation with the Dubrovnik Symphony Orchestra. Ticket prices are from 100 to 250 kuna and can be purchased at the Symphony’s office (Slanica, Svetog Dominika Street), the tourist agency Perla Adriatica in Ploče, gift shop Dubravka on Pile, Luža Cultural Center and one hour before the concert in front of the Rector’s Palace. Soloists are soprano and the prima donna of the Zagreb National Theatre Adela Golac Rilović and mezzo-soprano Vedrana Zrnić. MO professor Mathias Behrends will lead the concert, as well as concert master Đana Kahriman. Prof. Mathias Behrends is the artistic director of the choir, professor and head of the Swiss Opera Studio. He is currently working on projects and ideas that connect Croatia and Switzerland in various ways. 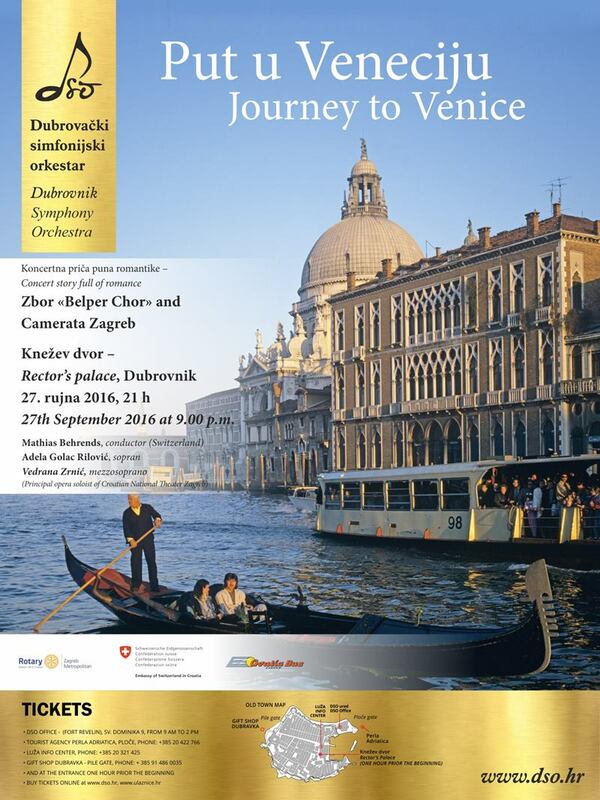 Enjoy the Belper Choir and Camerata Zagreb on their YouTube channel before heading to the concert next Tuesday!